5' James Perch crosses into the Wolves box, it runs long to Leroy Fer whose first time strike back across goal goes over the bar. What a joke going to worry about our GD today where is the marking? QPR close to a second. Perch advances and sends over decent cross. Batth battles with Polter and stops him getting there. Fer at back stick with half volley off target. Danny B at fault yet again . .Pointless foul ends up in the net . . . I wish Jordan well on his long road to recovery and was sorry to Niall Ennis now has a break what cursed luck we have at the moment. 2' Matt Phillips whips a free-kick into the Wolves box where Sebastian Polter rises to head across goal and beyond Ikeme. 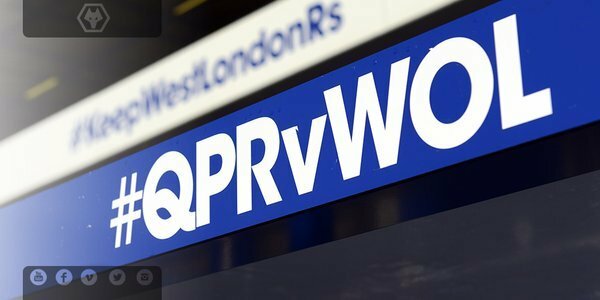 Free kick swung into the box and Polter rises to power home a header.
.@QPRFC get us underway at Loftus Road. Wolves, in their traditional gold & black, will attack the goal in front of the away fans this half. 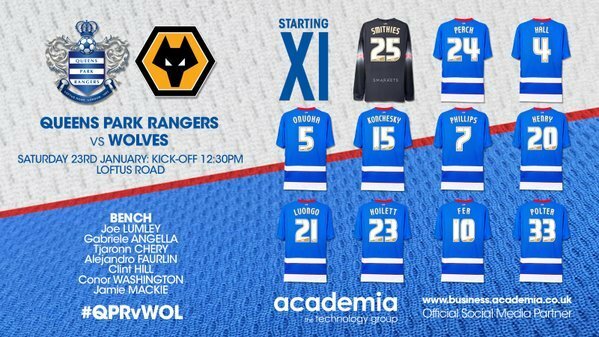 Wow seriously down to the bare bones here I am surprised Liam Mac didn't make the squad today! Anyway can only see a home win here JFH has not had home win as manager yet so I am sure we will oblige. Pathetic how this club is being run recruitment and upper management are a joke! Where is our hero Zyro? Hi from Canada. Not sure what to expect today. 630 am here...watching the game here in bed! Come on lads, to me to step up to the mark and do your stuff. countdown clock says 2hrs to blog start, I thought match started at 12.30? but countdown means match/blog start at 1.30pm? For those asking, Bjorn Sigurdarson just misses out with the back injury that forced him out of the game at West Ham. 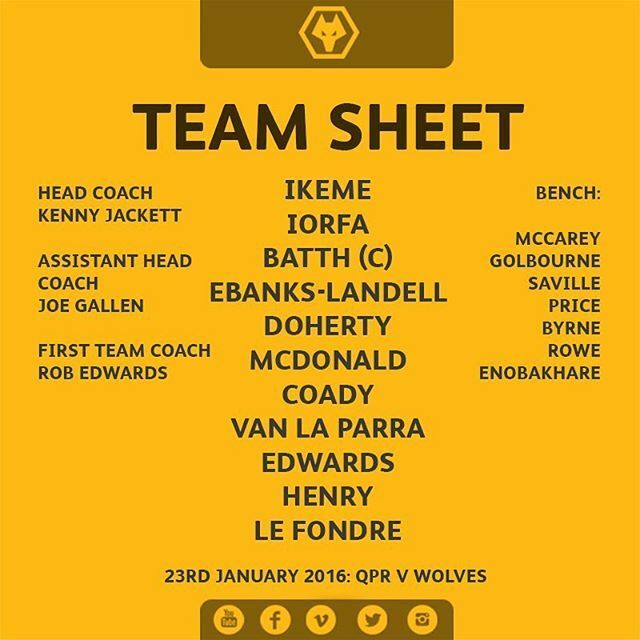 TEAM | Ikeme; Iorfa, Batth (c), Ebanks-Landell, Doherty; McDonald, Coady, van La Parra, Edwards, Henry; Le Fondre.